Hundreds of thousands of Syrian refugees are in danger this week. The people who fled violence from warmer climates within their country for the northern province of Idlib, are currently facing a catastrophe. Torrential rain engulfed this area forcing thousands to seek humanitarian aid amid dangerous living conditions. Powerful rain storms have swept the Syrian refugee camps across the Turkish and the Iraqi border, worsening conditions for those who have fled the war. It's hard to imagine what these refugees have endured. Having survived a brutal war, freezing rain and cold temperatures threaten basic living conditions and overall health. MAP is working with partners on the ground to respond to this crisis, but we need your help. 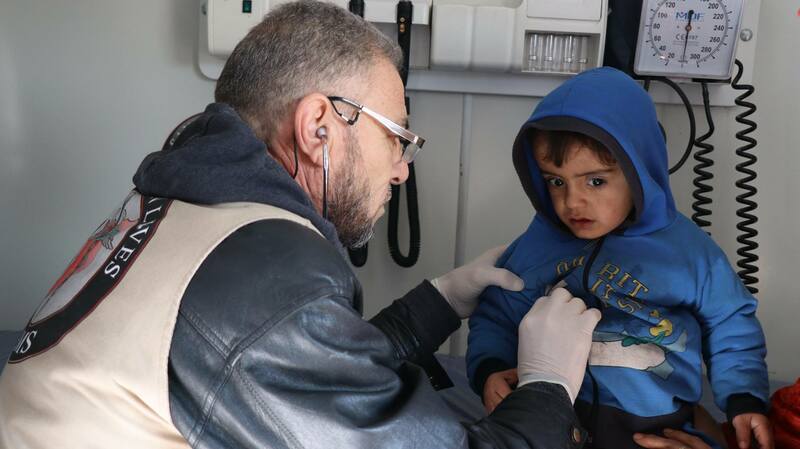 MAP is currently working with our local partner on the ground, Syrian American Medical Society (SAMS) to distribute critical medicines and health supplies at hospitals and clinics in northern Idlib province. These medical facilities are serving some of the hardest areas of the war including Aleppo and surrounding cities. MAP airlifted an Interagency Emergency Health Kit (IEHK) to serve the medical needs of 10,000 people for three months. An IEHK is prepacked and is used in international emergency settings where there is a disruption of medical supplies as a way to fill the gap until the distribution of medicines is restored.